MetaTrader 4 is one of the most popular programs that are developed to help traders boost their financial results and increase the number of successful deals working on currency exchange markets. The application offers numerous features and options, starting from bright and colorful charts to deep and complex financial analysis. MetaTrader remains to be in the process of constant improvement. Therefore, the application’s latest versions contain fewer amounts of minor bugs and more new features added to the platform. To start using the newest MT4 version, you need to update an app on the regular basis. MetaTrader 4 is a modern and high-tech utility that is designed to meet the maximum of user’s requirements. Currently, the system updates automatically: now you don’t need to look for any new program’s versions and consider whether to install them or not. When you connect to the trading server, the terminal automatically checks on the newest versions available. 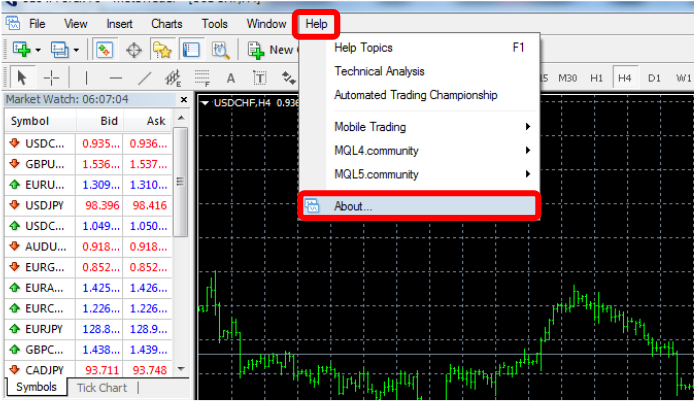 In case there are any updates for any component of MT4, they will be downloaded in the background mode. 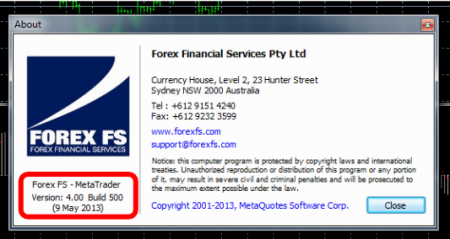 You will need to restart your MetaTrader 4 so that the recent changes could take effect. However, sometimes you receive and update from forex about the availability of the new MT4 platform and your terminal does not update upon launch automatically. 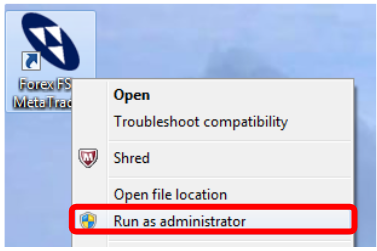 In this case you will need to launch your MetaTrader 4 in the Administrator Mode. The update will launch automatically. You can easily check your update: just select “Help” and “About”. This method on How to update MT4 is the most quick and simple, as it can be used without any additional knowledge in programming.